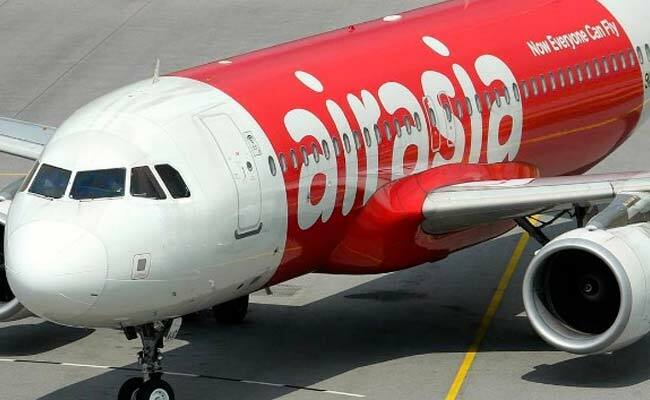 Without divulging the number of tickets offered under the discount scheme, AirAsia India said seats are limited and may not be available on all flights. AirAsia India has announced tickets starting below Rs 1,200 for one-way flights on select routes in a limited-period offer. Aimed at Independence Day on August 15, AirAsia India's promotional scheme - covering destinations including Bengaluru, Goa, Kochi, Kolkata Delhi and Pune - is applicable on travel till February 8, 2018. 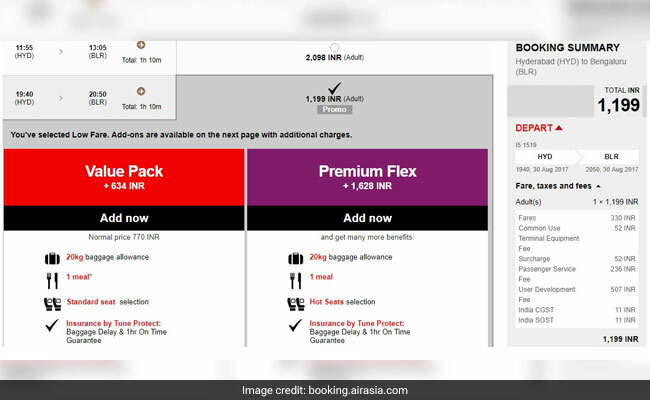 AirAsia India's offer requires flyers to make advanced bookings, which are open till August 13, 2017, according to the airline's website. AirAsia India, which has recently added new routes to its network, is a joint venture between Tata Sons and Malaysian carrier AirAsia. While the lowest all-inclusive fare of Rs 1,199 is being offered on the Hyderabad-Bengaluru route under the scheme, tickets starting at Rs 1,399 are available on some flights - Bhubaneswar-Kolkata, Ranchi-Kolkata, Kochi-Bengaluru and Guwahati-Imphal, according to the AirAsia website. A search on the AirAsia bookings portal on Tuesday showed all-inclusive tickets (including GST or Goods and Services Tax) priced at Rs 1,199 were available for month-end flights from Hyderabad to Bengaluru. "A non-refundable processing fee is applicable for payments via credit, debit or charge card...Fare includes airport taxes (except for selected airports where airport tax is collected at the point of departure)," the AirAsia website noted. Without divulging the number of tickets offered under the discount scheme, it said: "Seats are limited and may not be available on all flights... Valid for new purchases only... Fares are not available during embargo period." Meanwhile, AirAsia India earlier this month announced addition of the new route connects Hyderabad with Jaipur to its network. AirAsia India also added a twelfth aircraft - Airbus A320 - to its fleet, which, it said, would be stationed in Bengaluru.